Owning a business with others can be like a “marriage.” What happens when that “marriage” falls apart? Disputes between partners, shareholders, co-owners, investors, and members of closely held business entities can have complex ramifications for the business—and sweeping consequences for the individuals who have invested their time and money in the business. While leadership teams do their best to make things work, sometimes disputes occur, and the dissolution or division of a business is unavoidable. 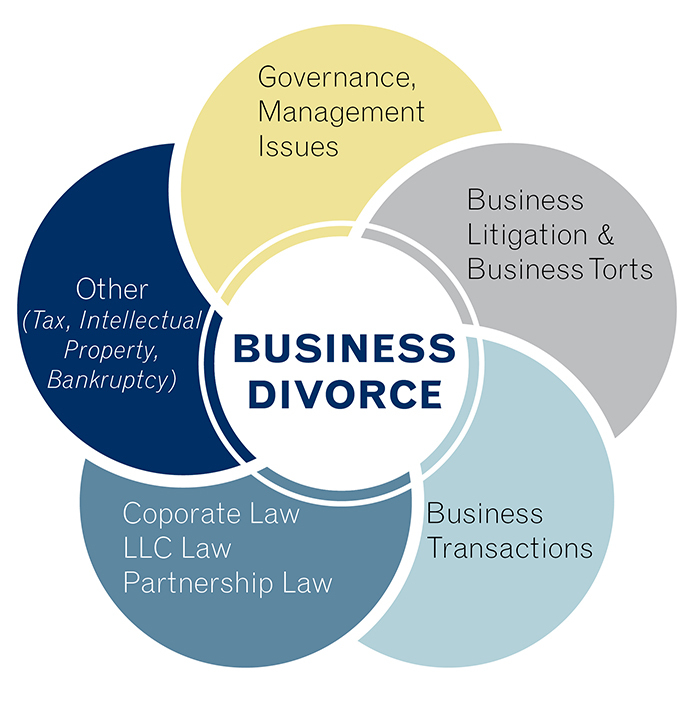 Faced with the prospect of a “Business Divorce,” stakeholders need a legal partner experienced in a diverse array of practice areas and talents, such as business litigation, corporate governance, tax law, family law, and business transactions. 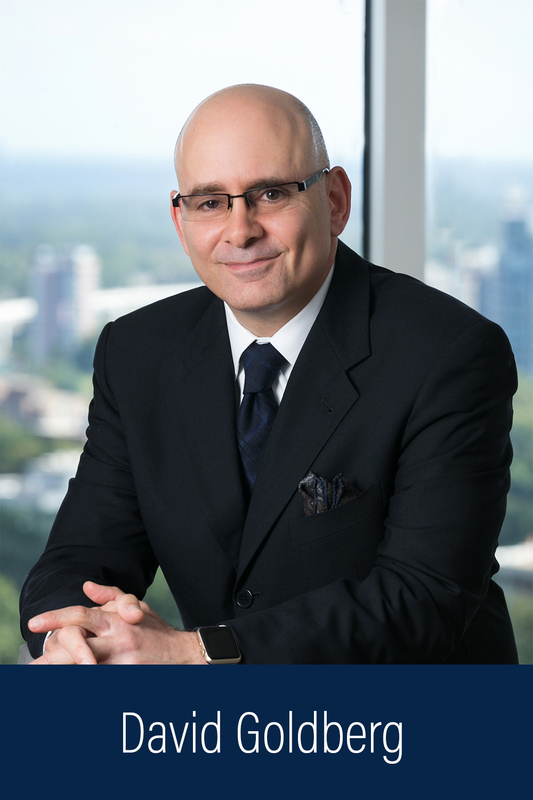 Offit Kurman’s niche Business Divorce practice group is dedicated to serving individuals, families, and organizations confronting these difficult circumstances. Our practice combines services based in multiple disciplines to help stakeholders quickly, smoothly, and effectively navigate a Business Divorce and deal with the related issues. Offit Kurman attorneys have years of experience handling Business Divorces, and possess the knowledge and experience in the various legal disciplines necessary to prevent Business Divorces from becoming messy and difficult and to solve complicated conflicts when they occur. Our approach can help you achieve the best possible outcome during disputes at any stage in the business lifecycle. Proper Preparation to Avoid Messy Business Divorces: The best time to avoid undue conflict and prevent a Business Divorce from becoming “messy” is up front – when you start the business or associate with co-owners or investors. We will structure your business and stakeholder agreements upfront to avert conflicts and prevent potential Business Divorces from becoming “messy” and unnecessarily contentious - ensuring that conflicts are resolved quickly and that any potential separation of stakeholders is smooth and the transition seamless. Strategic Negotiations: When a dispute does occur or a Business Divorce becomes inevitable, we will evaluate your rights and design a plan and strategy to help you solve the dispute – before the dispute becomes acromonious. Often, depending on the circumstances of your case, there may be steps we can take to mitigate the challenges and difficulties associated with a dispute between stakeholders or a Business Divorce. With a strong foundation in business and finance, and knowledge of and experience in the various areas of the law that may need to be brought to bear, we can help design the practical strategy to help you reach an out-of-court resolution and seamless transition. Litigation When Necessary: While business owners usually hope to avoid litigation or a contentious dispute with their co-owners, sometimes that’s just not possible. When a dispute between stakeholders or a Business Divorce demands litigation, we will be equipped and well-prepared to take your case to court and to engage in all appropriate action to protect your rights and interests.